I recieved some body tattoo’s from The Born Pretty Store for review. I thought that they were kinda cool but didn’t even think about how they could make nail art look so good. 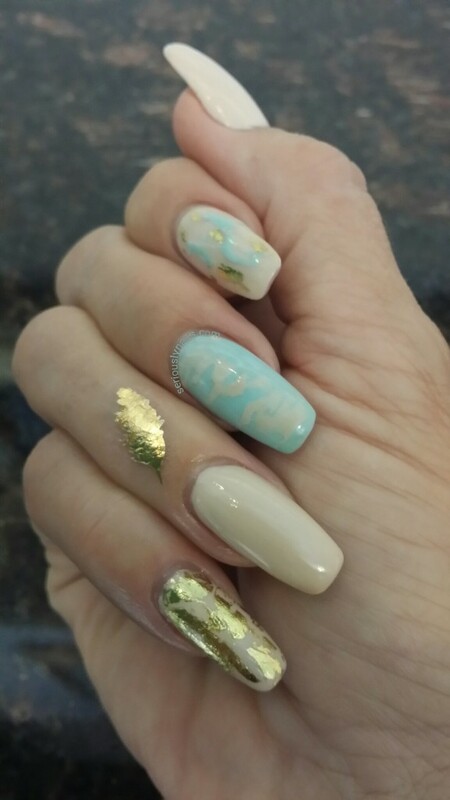 Here is a picture of a gold feather that I placed on my finger just above a nail with just lacquer on it. I love that it works so well with the gold foil I did on my pink-y. These are super simple to use as well. I cut out the feather from the sheet it came on, removed the shiny clear plastic, placed it where I wanted it on my finger (it has a little stickiness to it, so it stayed there) then I soaked a cotton ball in warm water, laid it on the paper backing and it slid right off to revel my feather! I would love to see what you came up with using these body tattoo’s!